I was reading an article that talked about someone being wrong and it got me thinking. This is quite possibly one of the most difficult subjects for me to write about. My own goal in this blog is to help self-identify areas I need to work on when each of those situations arise. 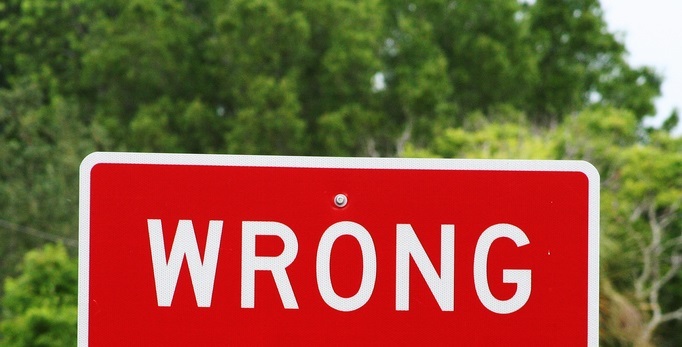 For me, being wrong comes in several different forms and the results vary based on the situation. Hopefully this post can also help you in your own efforts for constant self-improvement. Learning through putting yourself out there: I know that one of the best ways for me to learn in the classroom is to be part of the discussion. Historically, I have always been someone who speaks up and gives an answer. This past semester was more of the same and I spoke up a lot in class. What I said was not always the correct answer and I have learned that is ok; though that was not an easy belief to accept. While I really don’t like being wrong (I have a fear that everyone will think I am less intelligent as a result), it does keep me focused on critical thinking. Whenever I get something wrong, I think about it and then make sure I understand why and move on; hopefully not to make the same mistake again. Being wrong in a conversation: Another method of learning, which can also lead to being incorrect, is through one-on-one conversations. I have these all the time; ones specifically for the purpose of clarifying my own thoughts and to gain new information. I will often talk to one of colleagues at the NSBDC in this fashion. We each have our own areas of interest and knowledge, and are able to use each other to increase our own understanding. This gives me a chance to voice my thoughts and then get new perspective from someone well versed in that area; sometimes that means I am wrong. I use this time to dig deep, understand where I went wrong and truly grasp the new-found knowledge. Accepting being wrong is a skill that I will always have to continue to develop. I have certainly come a long way over the past decade, but it is a constant struggle to be able to make course corrections and it will always a learning process. Think about the last time you were wrong. Now, think about how you would handle that same type of situation differently in the future. Hopefully thinking about it now will make it easy to accept and move on from next time.